This is one reason we put races in “series”, with races within a series being similar in style. Of course every orienteering race is different, but our idea is that ones within a series will have more in common e.g. setup, courses offered, type of terrain, than races from different series. Some of the series are of an annual race, many with quite a history. These tend to be more formal, are often more challenging, and attract larger attendances with orienteers from other clubs travelling to attend in large numbers. Some of the series are several races within a few months. These are less formal, and are based at a pub so they provide a good chance to meet other club members. We aim that public transport can be used. The events have few courses (ideally everyone would run the same course because that is more sociable, but for practical reasons there’s usually a small choice). These series now happen each year, and we usually have an overall results table, for a bit of extra interest. Held on (usually) the second Tuesday of every month between September and April/May, these events are night street orienteering. They are normally run from a pub and the social element is important – do stay afterwards for a drink and maybe some food, and chat with other club members. The Night-O series complements the Street-O series in the winter with evening races in parks. Head-torches are needed – we usually have some to lend. As with the Street-O series, events run from a pub. The 2017~18 series finished on 20th March 2018 with a mass start race in Richmond Park. A series of four events held on Sunday mornings throughout the year, these are 2 or 3 hour MBO Score orienteering events on a bike. These events are run by London & Southeast Adventure Racers in affiliation with SLOW. Held on Tuesday evenings between May and July in parks in London, these evenings consist of informal “sprint format” orienteering races, and usually a pub social afterwards. There is normally two courses (5km and 3km). Since 2010, similar events by other London clubs have been incorporated into the series. SLOW’s annual urban race, based in and around the centre of London and attracting well over 1000 competitors. SLOW’s premier terrain race, it has been organised by the club for the last 30 years. The Box Hill Fell Race is the most southerly event in the FRA calendar, and has been organised by the club since the early 1980s. This hill race has been organised by the club for over 30 years. The club has traditionally organised one event in the GLOSS series which takes place in London on summer weekends co-ordinated by London OK. SLOW have won the London Bus Trophy several times. 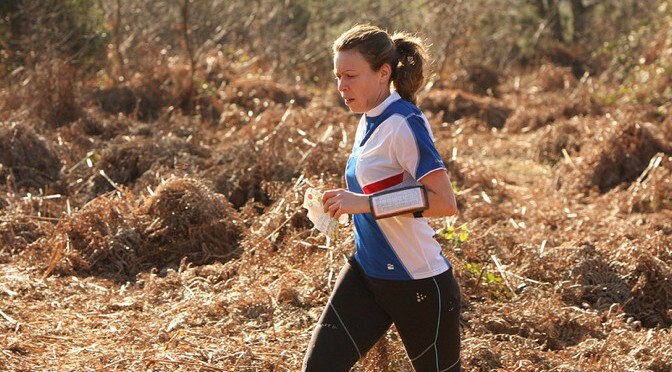 A one-day team relay, organised by Guildford Orienteers. SLOW traditionally enters a team and has often won the competition. More information (GO). A points handicap competition for club members, based on the results of four events put on by other clubs during the spring. Previously: 2017 series , 2016 series, 2015 series, 2014 series, inaugural (2013) series. A points competition for club members, based on the results of four events put on by other clubs during the autumn. Previously: 2017 series, 2014 series, 2013 series, The inaugural 2012 series.